For many of us (myself included! ), it can feel like we never have enough time to get everything done. When you're rushing from one thing to the next, or when you spend most of the day away from your computer, it can be tough to find the time to register for events or contact fellow members of your organization. Luckily, if you use a smartphone or other mobile device you can now quickly keep in touch with your organization wherever you are, with the Wild Apricot for Members App. 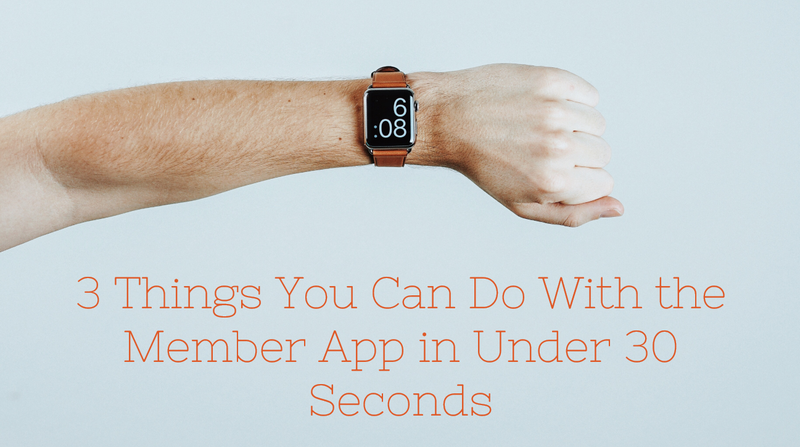 But first, get started by downloading the app. You can click the buttons below, or search for "Wild Apricot" in your device's app store. Why not download the app and try it for yourself? Download the member app for Android here, and for iOS here. You can see how to quickly set up the app for your organization in this infographic. Like to learn more? To see everything the app can do, and to get some inspiration on ways to use it, check out our article: Wild Apricot Launches Mobile App for Members on Android and iOS. I am having a problem in trying to edit my profile. I download the Icon with apple store. When I tried to go in to view my profile I get a message to go to a browser. Not sure what to do. Hi Mamie, This page shows you how to edit your profile on the member app: https://gethelp.wildapricot.com/en/articles/1516#profile If you're still having trouble with it, you can contact our Support team.